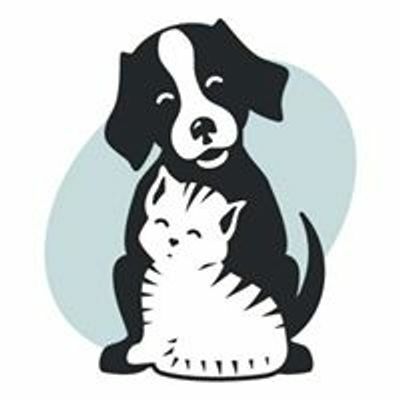 Horse & Cow Pub & Grill is hosting a benefit night for Kitsap Humane Society! 10% of the proceeds benefit KHS from 5 to 8 p.m. 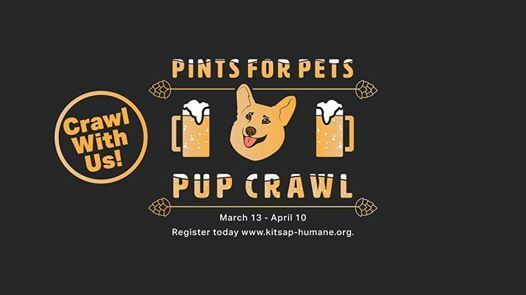 Along with eating great food, drinking good drinks, and raising money for shelter pets, we will be handing out Pints for Pets backpacks and enamel pins to everyone who has successfully completed our month-long Pup Crawl. If you're a crawler, be sure to bring your stamp card and pick up your prizes! Not part of the Pup Crawl? Come on down anyway! Let's fill the restaurant and raise some money for our four-legged friends! No dogs or cats are allowed inside Horse & Cow Pub & Grill - though they are allowed on the patio - so please plan accordingly. 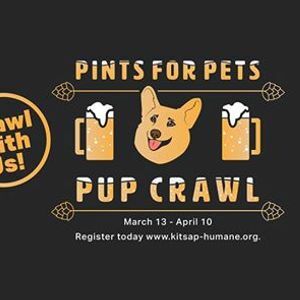 Want to be part of our month-long Pup Crawl? Head over to our Facebook event and get signed up today!